A really special personalised new baby gift or christening gift. 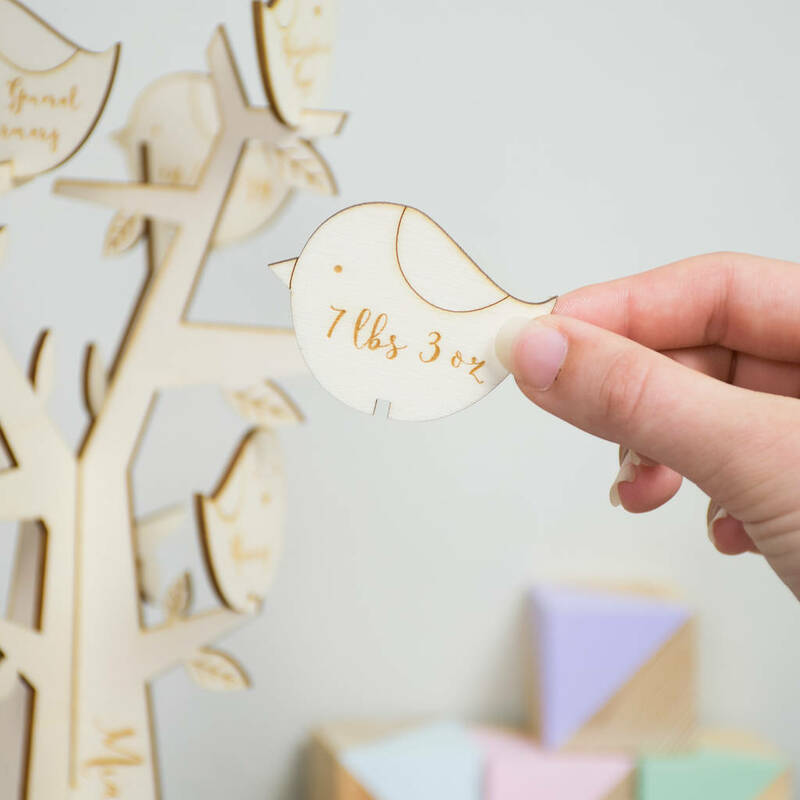 Our Personalised Baby Bird Tree is the perfect keepsake for a newborn's nursery. 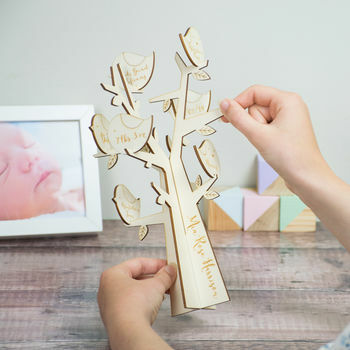 A truly unique and special gift for a new baby or a present for a christening which makes a gorgeous keepsake for a little one's nursery or placed on a mantlepiece or shelf. This arrives packed flat in a drawstring bag ready to give to the lucky recipient. Don't worry it's a simple process to put it all together! 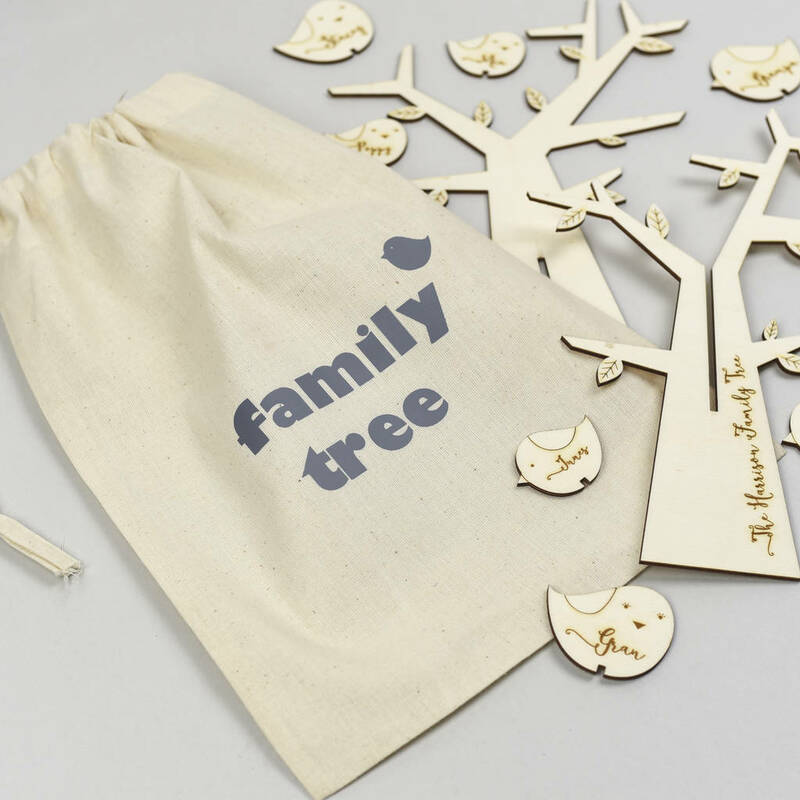 Make a lasting impression with this beautiful, thoughtful personalised keepsake tree. 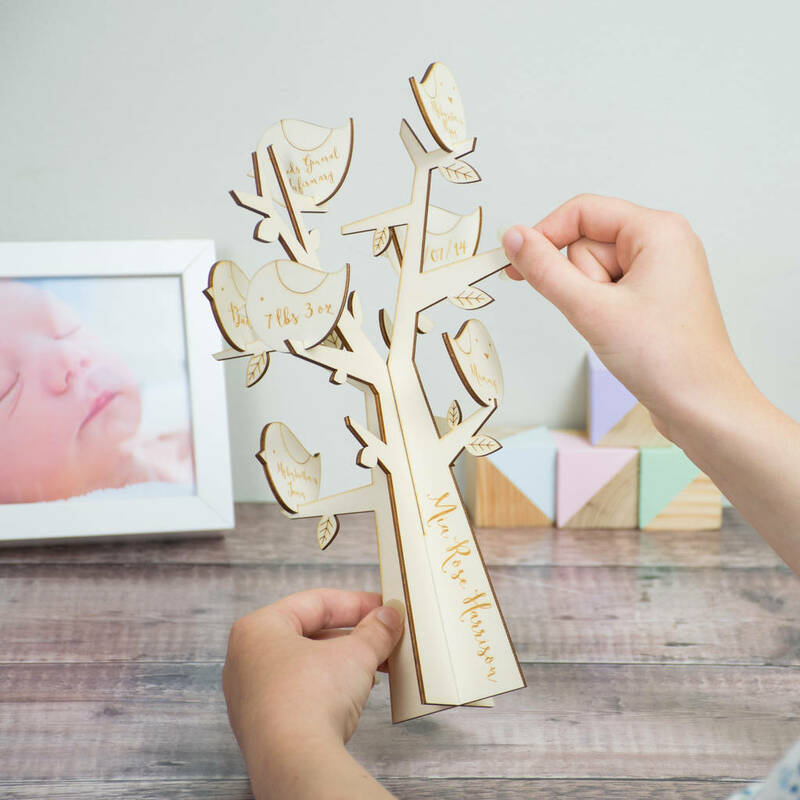 This gorgeous wooden bird tree has a number of personalised birds perched on branches representing different aspects of the little one's story. Suggestions include the baby's name, weight, date of birth, birth location, big sister/brother name, mummy and daddy. 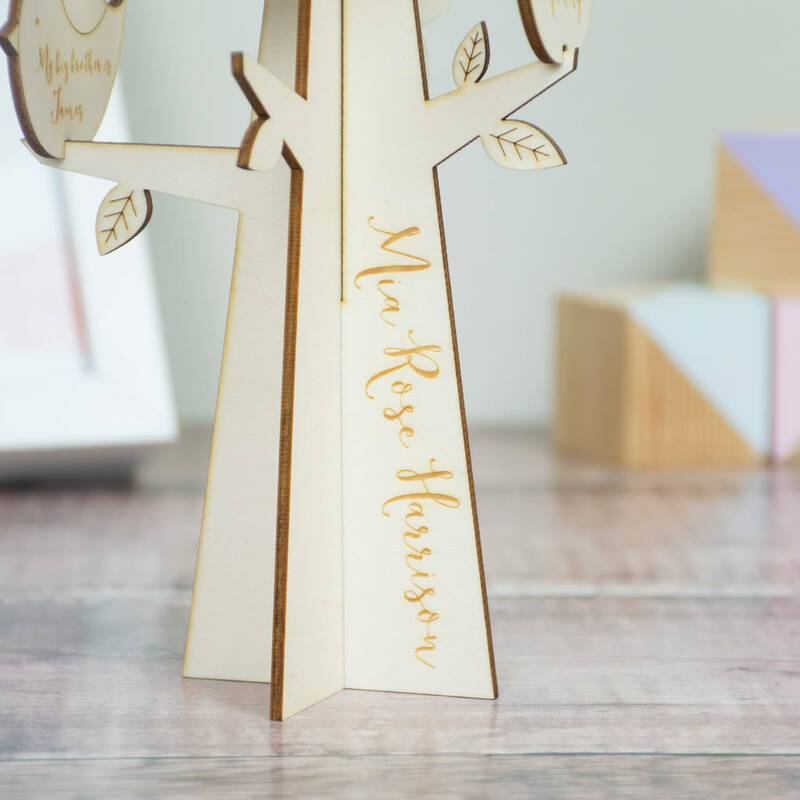 Why not make a tree for a personalised Christening or naming ceremony gift - add in details such as the church name, godparents names and christening date.